Artan Mertiri, owner of a restaurant near the planned location of a Boston dispensary, expressed concerns. The state of Massachusetts granted the first 20 licenses to open medical marijuana dispensaries Friday, paving the way for companies to begin selling the drug to patients as soon as this summer. The winning companies’ dispensaries are spread across 10 of the state’s 14 counties and include locations on Boylston Street in Boston, in Newton, Salem, Worcester, and the Cape Cod community of Dennis. In the highly anticipated decision, state health officials surprised some by opting not to award the full 35 licenses allowed by state law. But officials promised to approve more licenses by June, as they move ahead with efforts to bring medical marijuana to Massachusetts. “Most likely between now and August we will be opening up maybe 24 to 26 dispensaries,” said Karen van Unen, director of the state’s new medical marijuana program. Voters approved marijuana for medical treatment in November 2012, and the law directed the state Health Department to select up to 35 nonprofit companies to open dispensaries, with at least one but no more than five per county. See where the first 20 medical marijuana licenses were awarded in Massachusetts. Berkshire, Franklin, Dukes, and Nantucket counties did not receive a dispensary in the initial round. Leaders of Green Heart Holistic Health, who were awarded one of two Boston dispensary licenses, said they hope to open their 3,000-square-foot dispensary across from Boston University Medical Center by late summer. Andrew DeAngelo, executive director of Green Heart Holistic, said company officials are finalizing plans for their cultivation site in Amesbury. The dispensary will grow strains of marijuana with THC, as well as CBD strains, which would help patients with multiple sclerosis and epilepsy, DeAngelo said. Also approved Friday was the application of former US representative William D. Delahunt, who successfully won all three licenses he sought to open dispensaries in Mashpee, Taunton and Plymouth. Delahunt, a Democrat who represented Cape Cod and much of the South Shore before becoming a lobbyist, is chief executive of Medical Marijuana of Massachusetts. His entry into the competitive process sparked concerns about the potential for preferential treatment. In January, the state Republican Party called for the governor to appoint an independent commission to select the licenses, saying Delahunt’s friendship with state Public Health Commissioner Cheryl Bartlett, whose office awarded the licenses, “created the appearance of a rigged system designed to favor the politically connected at the expense of the critically ill.” The governor opted not to appoint an independent commission. “It feels like the same old politics in play,” Orrall said. Asked about the concerns, Delahunt said, “I’m just like anybody else,” adding that he has no influence at the department. Six of the companies that received high marks for their proposals but did not win a license with their selected locations will be invited to seek a change of venue to one of the four unserved counties, health officials said. Van Unen said at a press conference Friday that her agency expects to launch an abbreviated review process for the six companies in the next few weeks and announce the results in early June. She declined to say why the six — some of whom received higher scores from the review panel than those awarded licenses — were not selected in the first round. But she said she expected the six to fare better in the coming months because they already “have the nod” from her department. Among the companies invited to reapply for a license in one of the four counties that were left out in Friday’s selection is Good Chemistry of Massachusetts Inc. The company was turned down for its Salem application but was awarded licenses for a location in Boston’s Back Bay and in Worcester. The two Good Chemistry dispensaries approved Friday would be at 364-368 Boylston St. in Boston and 9 Harrison St. in Worcester, and the company hopes to open within the next eight months. The facility where the company will grow marijuana is slated for 9 Pullman St. in Worcester. Jaime Lewis, Good Chemistry’s chief operating officer, said state officials did not indicate to Good Chemistry why a competitor, Alternative Therapies Group Inc., won one of the two licenses for Essex County. State officials scrutinized applicants’ proposals for a wide variety of factors, including business plans, finances, background of their chief executives, operating plans, and whether they had support from leaders in the communities where they proposed to open their dispensaries and their facilities to grow marijuana. For business owners near the sites of the proposed new dispensaries, there were fears Friday about a rise in crime. 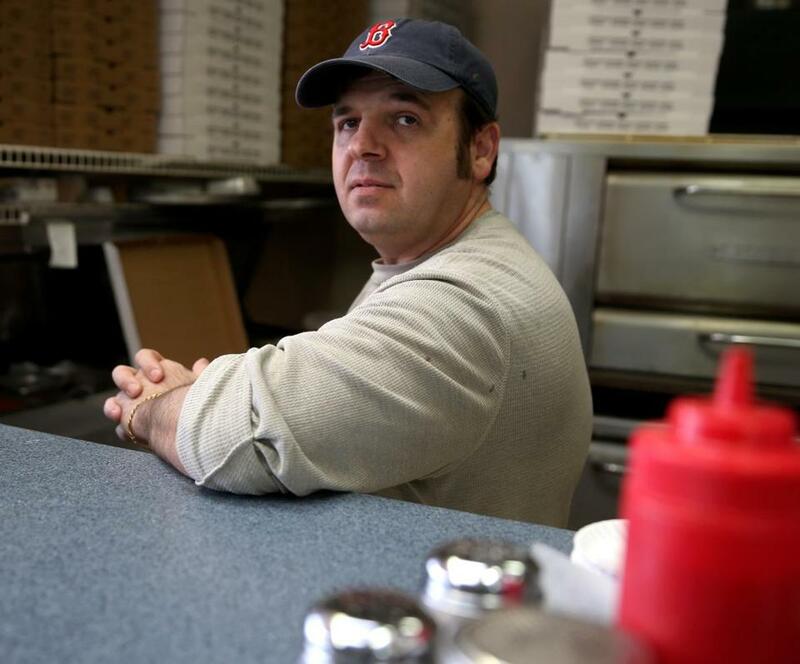 At a busy intersection blocks away from the Boston University Medical Center, Artan Mertiri, owner of New Market Pizza and Grill, looked apprehensive as he heard the news that a dispensary would set up across the street from his restaurant. Mertiri said there is crime and traffic in the neighborhood, which he said has a methadone clinic and a homeless shelter. In the Back Bay, most businesses nearby supported or were indifferent to a dispensary setting up on Boylston Street. The companies awarded licenses will still have to pass a final inspection by the state Health Department and ensure they are complying with any local permitting requirements before they are allowed to open. While the launch of dispensaries has been eagerly awaited by patients, others are concerned about patient safety. Dr. Ronald Dunlap, president of the Massachusetts Medical Society, said there is a lack of scientific information about the safety of marijuana when used for medicinal purposes, and he noted that marijuana does not undergo the rigorous testing required for prescription medications by the Food and Drug Administration. Michael Levenson and Chelsea Conaboy of the Globe staff contributed. Kay Lazar can be reached at Kay.Lazar@globe.com; Jaclyn Reiss at jaclyn.reiss@globe.com.